The renowned Sprinkles that hailed from Los Angeles, has graced Texas with their presence by opening up a location in Dallas and another in Houston. This cupcakery has taken the nation by storm it seems. Here’s a link off of their webpage of their buzz in the press. This past trip to Houston was my first trip to Houston since Sprinkles opened (June 21, 2010). I hadn’t made hard plans to visit, but Miss Kim and I were on our way to lunch at Hugo’s when Kim, who hadn’t had the chance to try Sprinkles, noticed that there was no line. Apparently, lines outside the door of Sprinkles are not uncommon. As soon as it dawned on her that holy crap there is no line at Sprinkles, she made a hard left turn, dodged oncoming traffic, and thus it was decided. 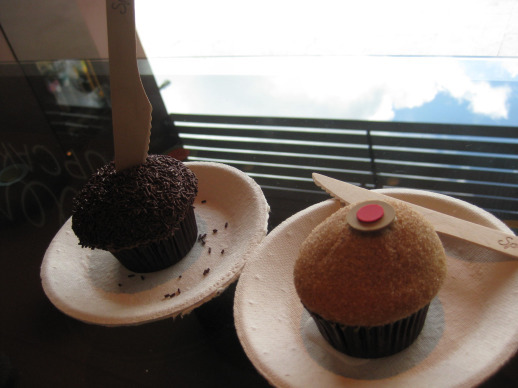 We were having cupcakes as appetizer to our lunch date. We ordered two, which is better than that one time we tried Houston’s other acclaimed cupcakery, Crave, where we ordered 4 between the two of us. We ordered the Chocolate Peanut Butter and the Cinnamon Sugar (Later that night, I tried the Vegan Red Velvet as well). In comparison to my sampling of Crave, Sprinkles wins. I was impressed by Crave’s marketing and presentation, but Sprinkles beats out Crave on that front too as it’s been around much longer, making Crave seem like a paler contender. In terms of flavor and cupcake texture. Sprinkles wins again. I remember thinking Crave’s cake flavor was a little underwhelming. The yellow cake flavoring of the Chocolate Peanut Butter (yellow cake, with chocolate chips, and peanut butter icing) was moist and sweet, the chips hit the spot, and the peanut butter icing not over the top sweet. I gobbled it right up. 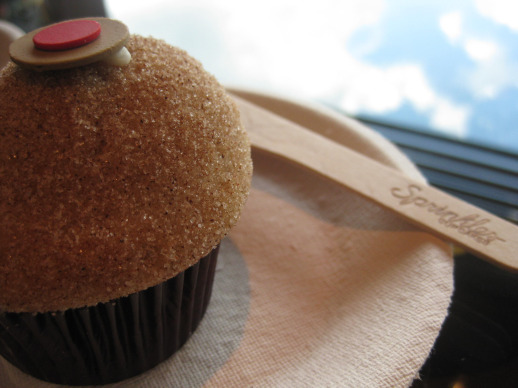 The cinnamon sugar cupcake was especially perfect for us since we WERE about to have lunch. Ha! So the lack of icing and a fairy dusting of sugar made it a lighter appetizer for us. Later that night, I had a bite of the Vegan Red Velvet cupcake which is a sweet accommodation for vegans. I honestly do not know what I think of vegan cupcakes. It did not taste like the Red Velvet I’m used to but it wasn’t offensive. 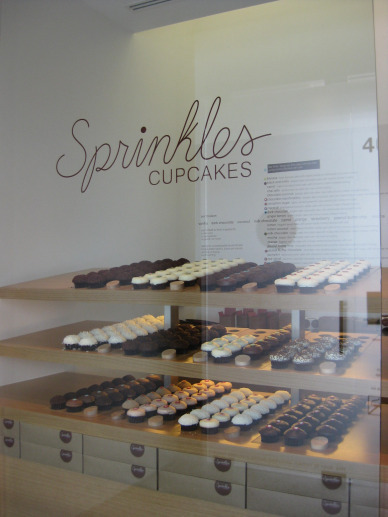 We overheard the conversation about cupcakes by the Sprinkles employees and it had us cracking up. 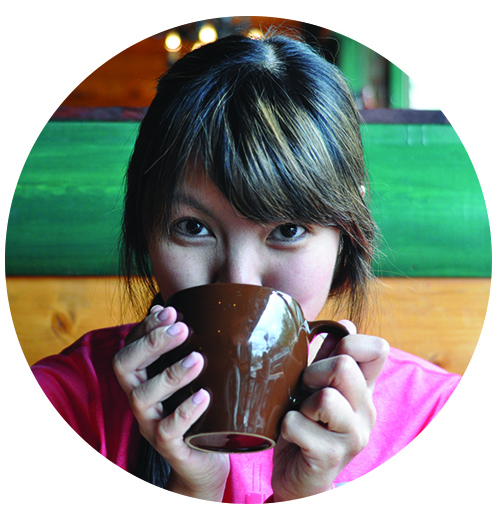 They were brainstorming new Texan flavors such as brisket cupcakes, chili cupcakes, flan cupcakes (ooh! ), and cornbread cupcakes.